Wow, It’s been a while since I’ve touched anything related to the Need for Speed Series. I’m talking about back to “3DO” day’s people. That’s a loooong time ago. Recently for Christmas, my daughter surprised me with this game as a gift. I had been a die-hard Gran Turismo 5 player and whenever I could scrounge up some PS3 playtime that’s what I would play. But now, when I feel like getting in an action packed race with “the need for speed” I pop this bad boy in. 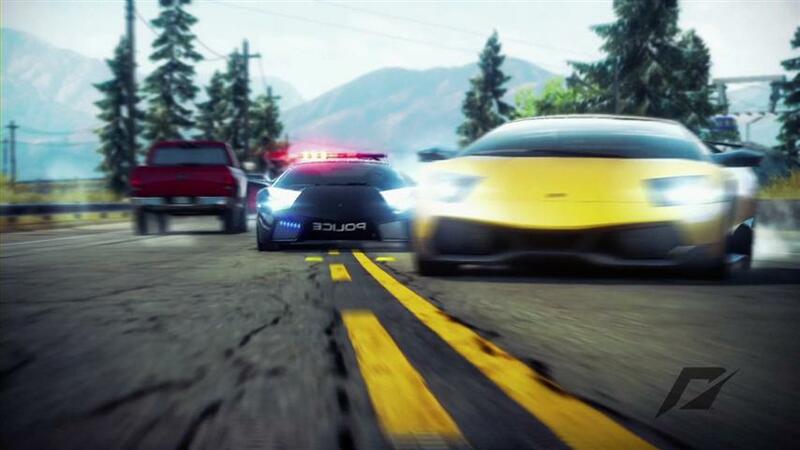 Need For Speed: Hot Pursuit is pure enjoyment. The game has been revamped by Criterion, makers of the Burnout series, which I loved, and the game definitely shines “Burnout” all over it. 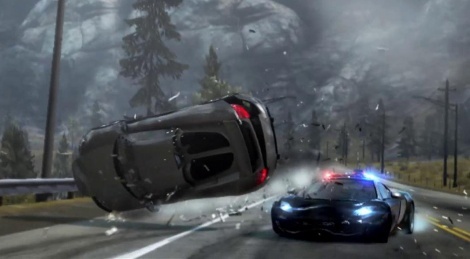 One thing that I like about this game is that it seems like it is a revision of the original need for speed with Burnout elements like slowed down crashes, sparks, debris, etc. 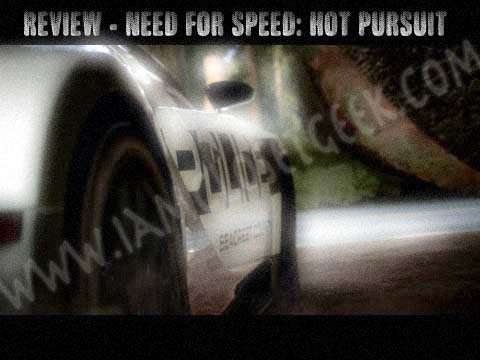 Packed with Coastal highways, open roads, and more importantly cops vs. racers and vice versa are prevalent from the original hot pursuit and are present in this game also. Talking about similarities do you remember Burnout 2’s pursuit mode? This feels like a supped up version and then some. What’s the game really about? Basically, a special police division has been created in the county of Seacrest which has a problem with racers tearing up the asphalt. The Seacrest county PD has implemented special vehicle classes to keep up with these racers to arrest and detain them. Present is a Career mode where you play as a cop and/or a racer, participating in different events. These events can include racers against other vehicles as a racer, which may or may not include cop chases, and time trials. As a cop you may have to take down one racer, a group of racers, or respond to an emergency call within a time limit. A major twist to the game is that racers and cops have munitions available at their disposal when earned. These items include spike strips and EMP’s for both Racers and Cops. As a cop, one also has available roadblocks and helicopters for use to slow down or completely disable vehicles. Although these perks are available, remember, this is a Burnout/Need for Speed hybrid. As you progress through the game, win races or complete busts your racer/cop will rise through the ranks as either a most wanted criminal for racers or gain promotions up the ranks for busts as a cop. This will result in newer vehicles, newer courses to race, and weapon upgrades. Present also is an online mode which will allow you to do the typical online race but, the real treat is the online hot pursuit mode. Racers are put on two teams, either as a racer or a cop. The racers have to make it safely across the finish line to win or the cops have to take out evading racers. Can anyone say madness? Imagine being the last vehicle against 4 cop cars. The game also boasts Leader boards in which your progress is displayed on the auto log feature. The leader board lets you and your online friends know where each other stand and proudly lets you know if one of your friends has trumped one of your times and vice versa. Auto log also notifies you of any updates, features, and pictures that fellow racers my have taken and want you to view. Yes, you can take pictures of those fabulous crashes. Everyone that is a fan of Burnout/Need for Speed knows the enjoyment comes from dipping in and out of incoming traffic, swapping paint with other vehicles, near misses, jumps, boost, and most importantly, the crashes. Ain’t nothing more satisfying than watching an opponent you have been chasing for a good minute crash in slow motion as a result of your actions. Ahh Yes, everything in this game is spot on. The sound effects, graphics, physics, game play, and story are all great. If you don’t believe me check out the state of your vehicle after a race. Yes dents, bumpers hanging, and all. But what trumps the game for me is that even though it’s a mixture of Burnout/Need for Speed it sways about 65% to the burnout side. If you like good arcade racers and were a big fan of the Burnout series, I highly recommend Need for Speed: Hot Pursuit. Hey, even my wife is an addict now.